How do you select a court reporter? For most people who have been in the legal field for some time, scheduling a court reporter has become fairly routine. If you’re a paralegal or legal assistant, one of the attorneys lets you know they need to schedule a deposition. Or, you’re a solo-practitioner attorney that handles this yourself. So, you may start by reaching out to the deponent to schedule a time that works. Then, it’s time to find a court reporter. If you work at the court, you are told about an upcoming trial and/or hearing. Time to find a court reporter. What do you do? Do you just contact the same reporter or reporting firm you’ve been using? 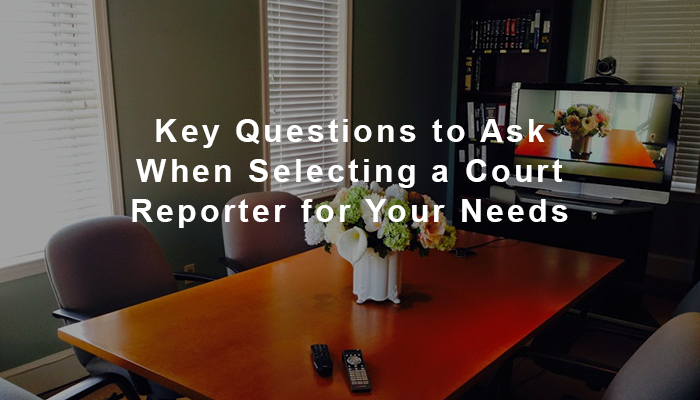 How do you make sure the court reporter is the best fit for your needs? Typically, the decision to hire a court reporter in Virginia or in another state is a fairly routine, quick decision…one without much forethought, usually based on how it’s been done in the past. You may just hire a court reporter who the insurance company suggests you use because of some decision that was made without your input. Or, the decision might be influenced by the round of golf someone in your firm had with some sales rep of a court reporting firm. We don’t know exactly how you make that decision. We understand that your day is complicated enough as it is and you don’t want to overcomplicate one more task in your day. However, with the changes in the court reporting industry over the last 10-15 years, there are now more types of court reporters and court reporting firms that provide service in different ways than ever before. Some may be more suited to meet your needs than others. 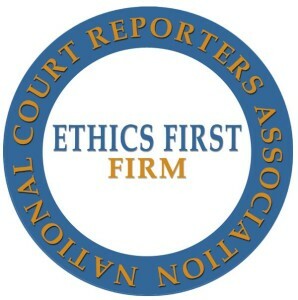 Not all court reporters, or court reporting firms, are created equal. We’ve found that if someone makes a poor choice with the court reporter they select, they will typically have problems down the road with work product, service and/or billing. 1. What court reporting skillsets and experience do you require? It may be important to find a reporter who has experience with the type of case you have. For example, if you have a medical malpractice case, you should have a reporter familiar with the medical terminology. Otherwise, it’ll be more difficult for them to create an accurate transcript of your legal proceeding and you may have to spend more time than you would prefer to educate them. Of course, this applies to many other cases such as engineering or extremely technical matters. How technologically savvy do you need the reporter to be? So many advances have been made in court reporting technology over the past few years, it is in a reporter’s best interest—if not his/her duty—to keep up. The more technologically savvy a reporter or reporting firm is, the more options you’ll have for a more effective and efficient deposition and trial preparation. What transcript formats will you need and how quickly will you need them? Will you need a reporter who can work into the evening or on the weekend? You may have a demanding case where there are depositions every day for many days in a row that require realtime reporting and/or daily rough drafts of the transcripts. Not all reporters have the skillsets, work ethic or flexibility necessary to handle this. Make sure you find one who does, or a court reporting firm that can handle this with more than one court reporter if necessary. 2. What additional litigation support services will you need? Often times, you’ll need more than a court reporter. You may need a conference room, an interpreter, legal videographer, videoconferencing, day-in-the-life or site documentation video, trial presentation assistance, etc. Will the court reporter handle these for you? You may want a full service court reporting firm that will provide all of these services for you. 3. What geographical areas will you be in? Where will your deposition or legal proceeding be? Will it be at your office? Will you need a conference room outside of your offices? Find out if the court reporter or firm has a conference room hosting space near where you need to be. If your chosen firm does not host depositions, you will have to find out which geographical areas it serves and how far its staff members are willing to travel. Depositions may need to be taken on multiple days in different cities, so the logistics of this must be worked out in advance. Will your court reporter or reporting firm be able to handle this? 4. Do you know how the court reporter or firm charges for your services? Court reporting costs vary widely depending on the types of services provided. However, keep in mind that cheapest is not always best. Consider the total invoice cost, not just the cheapest page rates or daily fee schedule that you’ve been told upfront. The key is to get all of the litigation services you need at a reasonable cost with people you would be happy to deal with in the future. 5. How much do you want to handle yourself? Are you looking for a long term litigation support partner or just a one-time court reporter? Once you’ve considered the skillsets and additional services you may need, it really comes down to the service level and how you want to do your job. 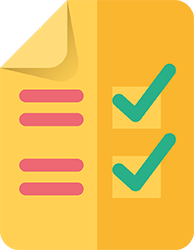 You may choose to handle most of the management and scheduling of litigation support services yourself, or you may want to find a court reporting and litigation support partner who’ll handle most of those tasks for you. If you’re used to scheduling all of the different service providers locally or in other geographical regions, you may not want to delegate most of the tasks right away. However, it might be worth building a good working relationship with a court reporting firm who can handle many of the tasks for you. Get to know them. Test them out. See how they do and how good their service really is. You may be pleasantly surprised to find out how much easier your job can be with a good court reporting and litigation support partner. How do you select a court reporter? If you haven’t thought through these questions, it might be helpful to do so. Once you’re confident all your court reporter or reporting firm is meeting your needs in the way you want, you may have a partner for life! If not, we encourage you not to settle and look for one you can build a long term working relationship with. In another article we discuss 5 tasks you can delegate to your court reporting firm.